Miles and points beginners often ask which travel rewards credit cards for beginners are the best. It’s understandable. 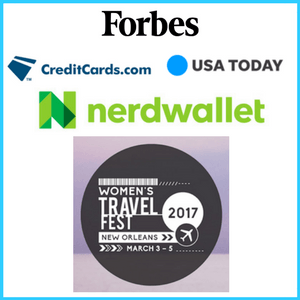 First, there are so many travel rewards credit cards available. 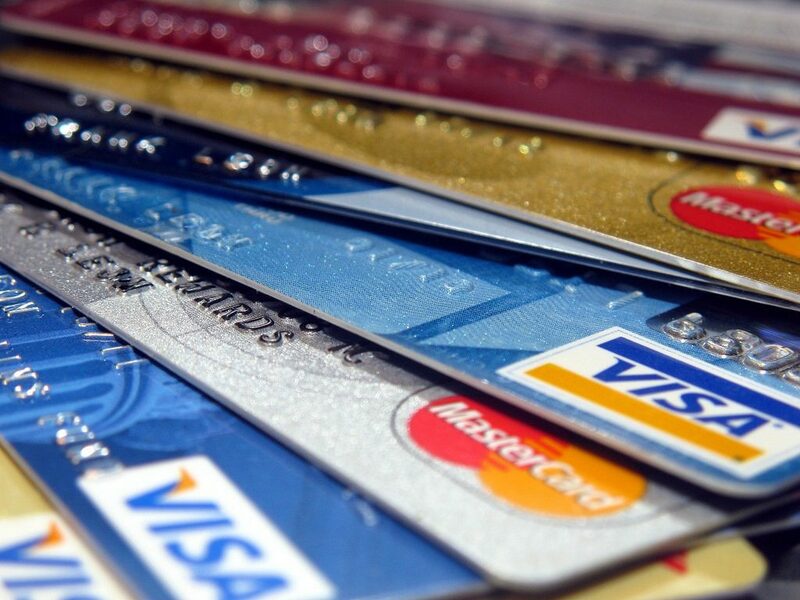 Second, many people believe credit card myths which make applying for them stressful. What is the Chase 5/24 rule and why is it especially important for miles and points beginners to know? 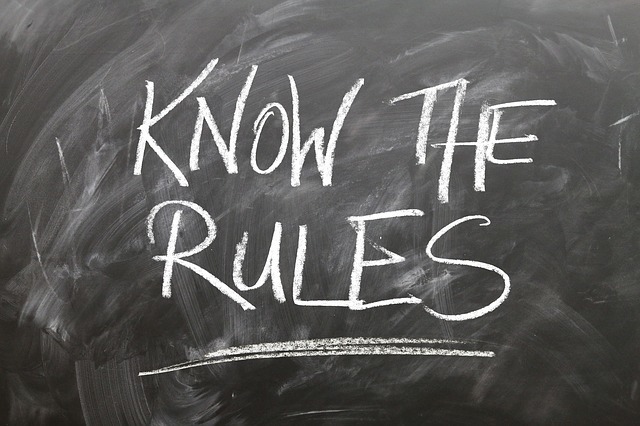 The major banks have their application rules and Chase, by far, has the most restrictive. If you’ve been approved for 5 or more credit cards in the last 24 months from any bank, Chase will deny your application even if you have a stellar credit score. Travel hackers affectionately refer to this rule as 5/24. 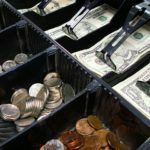 Combine this with the fact that Chase offers some of the best travel rewards credit cards, in terms of sign-up bonuses and long-term spending value, and you can begin to see the problem this rule can unknowingly pose to miles and points beginners. Too many credit cards from other banks in the last 24 months likely means being locked out of the Chase Ultimate Rewards travel program until time passes and less than 5 new credit card applications show on your credit score report. as well as discuss some of the possible exceptions to the 5/24 rule in order to help you formulate a travel hacking strategy. Before continuing, though, it’s important to point out that you’ll need a credit score of 700+ to qualify for most travel rewards credit cards. Many credit cards offer customers the ability to check their credit score. If you don’t have one that does, use a service like Experian to find out your FICO 8 credit score for just $1. And lastly, responsible miles and points enthusiasts always pay off their credit card balances in full at the end of the month. If you have trouble doing so, travel hacking isn’t the right hobby for you. 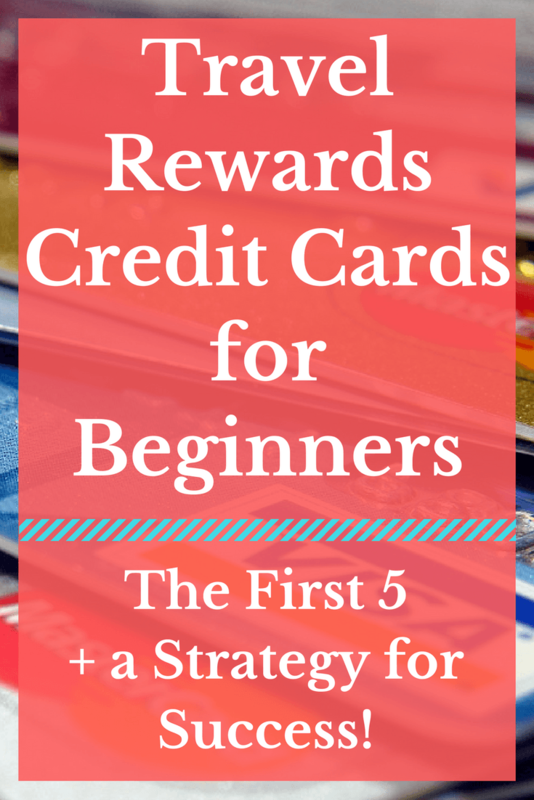 I’ve outlined a step-by-step strategy for beginners getting started with travel rewards credit cards. Keep in mind this strategy is the ideal in order to maximize Chase’s travel rewards given their 5/24 rule. No matter what, you should always do what’s best for your travel goals and finances. Step 1- Choose 1 of the 2 credit cards below. This premium credit card made its debut in August 2016. Since then, it’s been dubbed the best travel rewards credit card ever and for great reason. 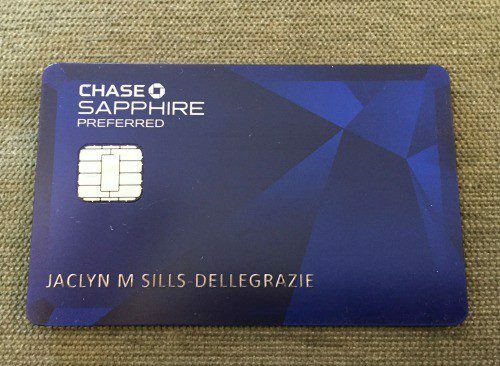 The Chase Sapphire Reserve comes with a 50k sign-up point bonus after spending $4k in 3 months. The card has a $450 annual fee but comes with a $300 travel credit. Chase’s definition for what counts as travel is quite generous. So, in addition to flights, hotels, and car rentals, the $300 credit is good for things like highway tolls, commuter transportation, taxis, and parking expenses. Cardholders get free Priority Pass membership which has over 1k airport lounges across the globe offering amenities like free drinks. snacks/food, wifi, and more. The membership also allows travel companions to join cardholders in the lounges for free. There’s also a $100 Global Entry credit and no foreign transaction fees. The card earns 3x the points for every dollar spent on travel and dining. These points can be transferred to 13 airline and hotel partners or used with an added 50% bonus within Chase’s travel portal for a 1.5 cent per point redemption value. The Sapphire Preferred also offers a 50k point sign-up bonus after spending $4k in 3 months. However, the annual fee is considerably less at $95 and waived the first year. The card has no foreign transaction fees making it also good to use while traveling. In addition, the Sapphire Preferred earns 2x the points on travel and dining and has access to the same 13 travel partners mentioned above with the Sapphire Reserve. Chase Ultimate Rewards points redeemed in the Chase travel portal return a 1.25 cent per point value. This No-Fee card comes in 2 varieties, Freedom and Freedom Unlimited. On their own, the Freedom cards offer typical cash back rewards and/or the option to book travel solely through Chase’s travel portal at a 1 cent per point value. The cards come with a 15k sign-up bonus after spending $500 in 3 months. The Freedom card offers 5% or 5x the points for every dollar spent within specific bonus categories. These categories rotate each quarter and cap out at $6k for the year or $1,500 per quarter. All other purchases earn 1% or 1 point per dollar. The Freedom Unlimited card does not have bonus categories. Instead, it offers 1.5% or 1.5x the points on all purchases all the time. Both Freedom cards do have foreign transaction fees so this is not the credit card to use outside the U.S. The best value comes when pairing a Freedom card with a Sapphire Card. Rewards points earned with a Freedom card don’t have access to the same 13 travel transfer partners mentioned above. However, cardholders with both a Freedom and a Sapphire card (or Ink card, see below for more info) can merge their Freedom rewards points with their Sapphire rewards points. The benefit is a better redemption value when transferring points to Chase’s travel partners or for use within Chase’s travel portal compared to the fixed 1 cent per point return value with a Freedom card alone. If your credit score is low, start with a Freedom card. By spending responsibly and paying off your bill in full each month, you’ll help your credit score and build a relationship with Chase for future applications. Avoid unneccessary credit card denials. Visit a Chase bank near you and ask a representative about the offers you’re already pre-qualified for and apply in the branch. Step 3- Learn how to get approved for Chase’s business card, the Chase Ink Preferred. 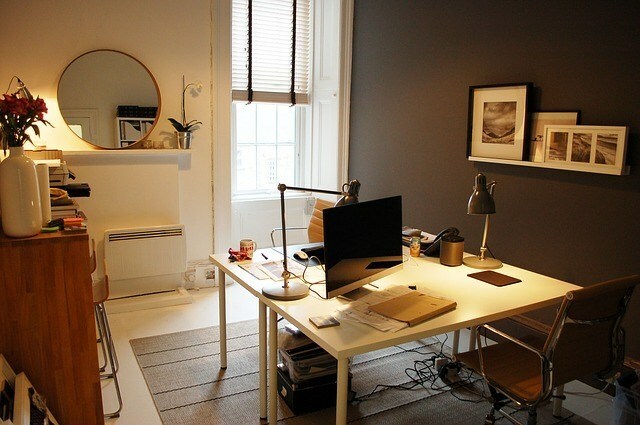 What you do from your home office may count as a business! Beginners often don’t realize they can apply and qualify for business credit cards. Side jobs like selling items on eBay, tutoring, plowing snow, consulting, even having a blog with affiliate links can all qualify as businesses. The key is knowing how to honestly explain your business to the bank. Via Million Mile Secrets, you need to fill out the application properly and possibly provide the bank with additional information. This Chase business credit card replaces the Chase Ink Plus. The Ink Preferred comes with an 80k point sign-up bonus after spending $5k in the first 3 months. The annual fee is $95. You’ll earn 3x the points on travel, shipping, internet, cable, and phones services, as well as on social media and search engine advertising costs. All other purchases earn 1x the points. The card has no foreign transaction fees and returns a 25% bonus (1.25 cents) on points redeemed within Chase’s travel portal. All points earned can be transferred to Chase’s 13 travel partners and Freedom points can also be merged with Ink Preferred Ultimate Rewards. Step 4- Decide on your travel goals. Choose 1 of the following options. Southwest’s Rapid Rewards program offers a companion pass once you earn 110k Rapid Rewards points in a calendar year. What makes this deal so phenomenal is that your companion flies with you for free (except for the tax) as many times as you’d like for the rest of that calendar year AND the whole following year! You get to keep the 110k points so while your companion flies for free, you can use your Rapid Rewards points for award flights. It’s a super sweet deal! If your travel goals include domestic travel and destinations in the Caribbean, Mexico, and Central America, then the Southwest companion pass just might be your new best friend. To earn the pass, apply for 1 personal and 1 business Southwest credit card. Throughout the year, Chase often ups the sign-up bonus on its 3 Southwest credit cards from 40k to 50k points each. At times, the sign-up bonus has even been 60k points! 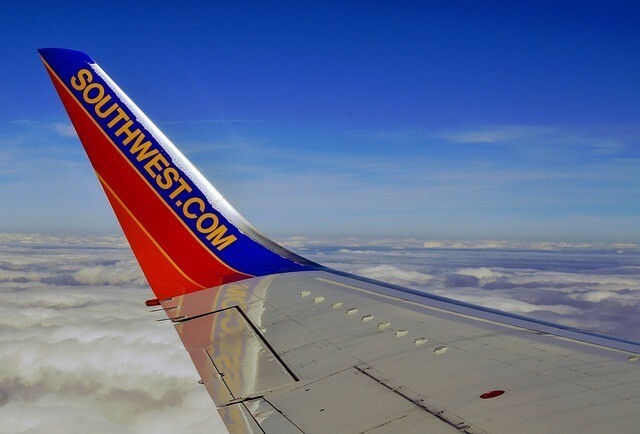 The Southwest Rapid Rewards Plus and Premier credit cards each typically offer the 50k point sign-up bonus for spending $2k within the first 3 months. The $69/$99 fees are not waived the first year. The Southwest Rapid Rewards Premier Business credit card also typically comes with a 50k point sign-up bonus for $2k in spending over the first 3 months. Again, the $99 fee is not waived. Bags fly free on Southwest, but the cards let you check an extra one at no cost. You also get 3k anniversary points for renewing the Rapid Rewards Plus card and 6k points for renewing the Premier cards. If your travel goals include more international travel than domestic, a United miles/Marriott points combo will be more useful than the Southwest companion pass. 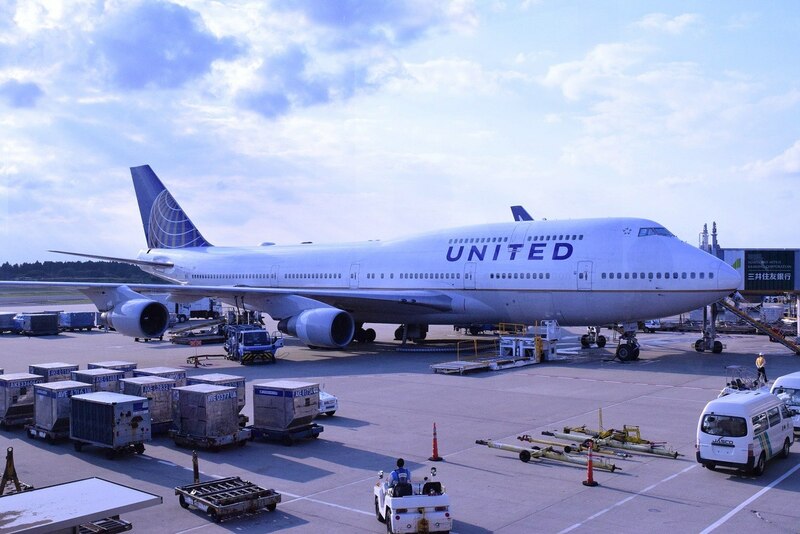 United miles are great for domestic and international travel on United or any of their Star Alliance partners. Even with United’s stopover rule changes, these miles still offer a good deal of flexibility and solid value. Additionally, United is one of Chase’s travel partners. You’ll be able to transfer Chase Ultimate Rewards points earned with your Sapphire, Ink Preferred, and Freedom (when paired with a Sapphire or the Ink) directly to United at a 1:1 ratio. 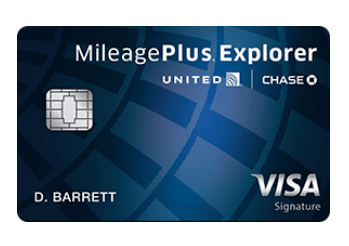 The United MileagePlus Explorer card typically has a sign-up bonus of 40k miles for spending $2k in the first 3 months. But, the sign-up bonus usually increases to 50k miles publicly and has gone as high as a 70k mile targeted offer for specific Chase and United customers. If you think the United Mileage Plus Explorer card is right for your travel goals, wait until the higher 50k offer comes around. Chase’s personal Marriott Rewards card typically offers 80k Marriott points after spending $3k in 3 months. With Marriott’s acquisition of SPG and their hotel brands, international travelers will find great value on award nights in hotels around the globe in both Marriott and SPG properties. 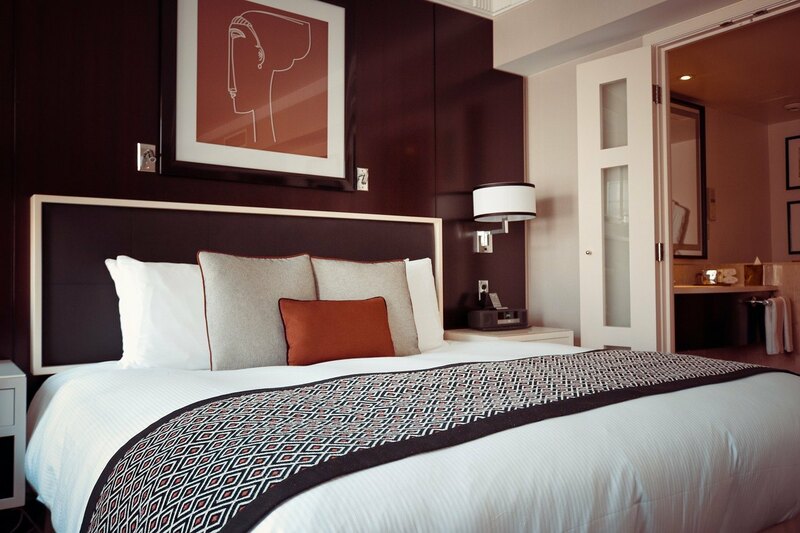 Marriott points can also be redeemed for a great value with Marriott’s Hotel and Air packages. Given Chase’s application restrictions, award travelers looking to max out on Ultimate Rewards point sign-up bonuses and earnings through everyday spending may consider applying for both Freedom cards and skipping one of the credit cards in Option B. While 1.5% or 1.5x the points isn’t the best earn rate compared with other cash back rewards cards, the Freedom Unlimited offers another way to earn additional Ultimate rewards points on spending not covered by the category bonuses on the regular Freedom card. All rules have exceptions, right?! There’s a saying within the miles and points community. “Your mileage may vary.” Essentially, just because others have had success or failure with something doesn’t mean your experience will be the same. So, take this next bit with that in mind. That being said, do not start out with these credit cards. Chase can make changes at any time to which cards are and aren’t counted towards the 5/24 rule. Play it safe. Start with the travel rewards credit cards for beginners described above because they offer better all-around travel rewards. In addition, business card applications from most banks don’t show on your personal credit report and thus are not factored into your 5/24 status. These cards are an excellent way to continue to earn miles and points while still remaining eligible for high-value Chase travel rewards cards. By now, I hope you’re thinking about your first 5 travel rewards credit cards from the options above. However, you cannot apply for all of them at once! 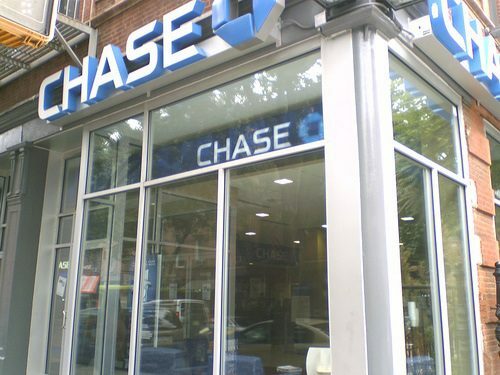 In fact, Chase has become tougher on individuals with too many applications in a short window of time. In some cases, even shutting down their accounts altogether! First and foremost, start slowly. Be smart about how you space out your applications to avoid account reviews and a possible shut down. Consider the minimum spend on each credit card and what you can responsibly handle. There’s no point in applying for a card and not getting the bonus. Chase will typically only approve you for 2 credit card applications every 30 days. Each time you apply for a new credit card, banks do a hard pull of your credit score. In general, you want to limit the number of hard pulls that show on your credit report. Via Doctor of Credit, if you apply for 2 personal credit cards on the same day, the hard credit pulls may combine on your credit report to look like 1. The same goes for applying for 2 business cards on the same day. Remember, your mileage may vary! Others have applied for a business and a personal credit card on the same day and have had them combine as well. While others have had a completely different experience. Follow the majority consensus in the data. Technically, an application strategy could look like this, but remember to play it safe! Don’t compare yourself to others and just do what you’re comfortable with. Apply for whichever Chase Sapphire (preferably the Reserve) and whichever Freedom you have selected. 2a. 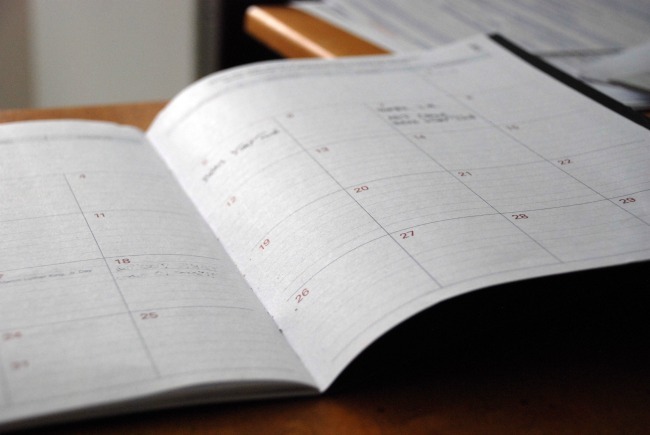 Wait at least 31 days and consider your ability to handle minimum spend amounts. Then, apply for the Chase Ink Preferred and the Southwest Rapid Rewards Premier Business cards. 2b. Apply for the Chase Ink Preferred. 3a. After another 31+ days, apply for 1 of the personal Southwest credit cards. 3b. Apply for the United Mileage Plus Explorer and the Marriott cards. No matter which options you choose, you should consider carefully your first 5 Chase credit cards. This is a critical key to success when starting out in order to maximize your miles and points earnings. Don’t lock yourself out of earning these bonuses and the travel rewards they continue to bring with everyday spending. So, which travel rewards credit cards for beginners will you apply for? What tips do you have for beginners? Is It Better to Get Cash Back or Miles for travel? I will definitely check out this card looks like a good bonus opening offers too. Your post made something that can be really intimidating much more approachable! I have the Chase Sapphire myself and I love it- it’s such a great card. I hope to get the Reserve soon also! Thanks, Hra. I’m glad it’ll be useful for you. 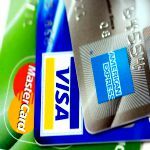 Great tips for those who can apply for these credit cards. Such a great way of saving for travel and making your spend work as hard for you as possible. Exactly, Kerri! 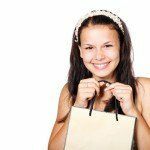 It’s not about spending more, but making your money work for you! I’ll be honest with you. I’ve never had a credit card and I have absolutely no clue about how does it work. I always travel with my credit card and never taken advantage of any of the reward programs. In march, I’m going back to the road for 6 months at least. I’m really thinking of getting one credit card. For now, I’m pinning your article for reading it later. I’m from Spain, does this work for Spanish people? Thanks for reading, Joan. 🙂 These cards are primarily for people in the U.S. There are other cards for Europeans and it would definitely be beneficial to be earning some rewards as you begin your travels again in March. Thanks for shedding light on such a murky topic. 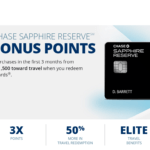 I have the Chase Sapphire card which I love and a newer United Mileage Plus for the travel benefits. The one question that is still not clear is “how many credit cards” is too many for travel hacking purposes? Do you have any recommendations? You have 2 excellent cards right now. In terms of how many is too many, it all depends on what your comfortable with and your goals. There are travel hackers who apply for 2-3 cards every 3-4 months. They may close cards as well, but you can do the math on that over the course of the year. While others prefer to strike when a hot deal comes along. It’s really entirely up to you. One thing I would say is it’s never good to have miles and points just sitting for lengths of time in accounts unless. Programs devalue and changes are made. You also want to make sure, especially if the points are really specific (i.e. Southwest points), you have a true purpose for them. Hope that helps! I have never been able to get miles and credit points into my head! But reading this has certainly given me a bit clarity about everything. Thanks I hope I’d be able to implement this and save some money for traveling! Glad the info will be useful, Harsh! Here’s to saving all we can on travel! I always got confused with the credit card system. I am not really sure about the air miles and stuff. I just need to do more research on this. Hopefully, this helps Gokul! 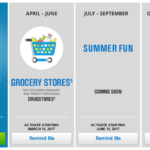 The Chase rewards card are the best place to get started. 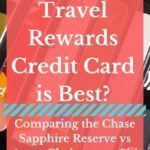 Thanks for this Jackie 🙂 We have the Chase Sapphire Preferred and love it – we figure the savings we make from the travel points we accrue more than makes up for the annual fee. I’m always recommending it though have never actually put together anything with tips for the application process, so will bookmark so I can forward on. Thanks! Unfortunately I can’t take advantage of these as I’m Canadian. I highly recommend the Capital One Aspire travel reward card. That’s the one I use here! Great tip for Canadians! Thanks, Lauren. I’m hoping you have some insight on my situation. In March I received the Chase Sapphire Reserve card and then applied in May for the Chase Ink Business since I have a small side business in social media management in addition to teaching. I received notification that I was turned down for the card despite the fact that I have a credit score well over 800. They cited the fact that my business hadn’t been around long enough (1.5 months), the income wasn’t high enough, and the fact that I’d opened the Reserve in March. I called the reconsideration line on Monday, and they cited the same info. The guy also said that my credit limit on the Reserve was really high and that was a factor. I asked if it would make a difference to reduce it, and he said no because business was a different line of credit. Well, if it’s different, why cite it as a factor in the first place? I told him I was shocked since I have such a high credit limit, was a 20-year customer of Chase, and had a home mortgage with them. It’s really odd, since my colleague’s brother-in-law was able to get the Ink card based on the fact that he had just opened a consulting business — so no actual income yet. Do you have any idea what is happening? I haven’t applied for any cards in years until the Reserve. Thanks! Hi Paula, Sorry to hear about such a frustrating experience. Chase definitely makes it a bit tougher than other banks to get their business cards. I was in a similar boat to you in terms of credit score, mortgage and new business. I actually had to open a business checking out with Chase to finally get the approval. I’d try again, but this time I’d go into a Chase branch and talk with a representative. It might take a little extra leg work but it’s worth it. Good luck! Hi Jackie! Thank you very much for a very useful article! It helps quite a bit:) Do you keep the miles once you decide to close Chase United Explorer credit card? Thanks!! Thanks so much for reading. Yes, you would keep your miles. Glad the post is helpful! Thanks for this information, Jackie! I do have a question for you however. My husband has a Chase Sapphire Reserve card, I am a secondary cardholder. Can I apply for the Chase Sapphire preferred card or would that be considered two cards in the same household? Thanks for reading, Chris. 🙂 You would be fine applying for the Sapphire Preferred as long as your under 5/24. Keep in mind being an authorized user on your husband’s Sapphire Reserve counts as 1 of your of your 5 “slots” with Chase. If need be, you can remove yourself from being an authorized user and get that “slot” back. Great article! Can we pay for one ticket from points earned on two different cards? We will be getting married this June, and since I want to afford a dream honeymoon (before we have kids!) And so I’ve been “studying up” on travel hacking with pts /miles. This article confirmed what I’d been thinking/planning! I have a few questions. Now, can my (future) husband and i apply for this cards in combination and have this plan still work? (Ex. I get Saff Reserve & Ink Preferred Business, and he get the Freedom and whichever one of the others) Can we transfer pts/miles to my S Reserve account (or vice versa) so we can get the most out of Ult Rewards? Or do they all have to be connected to five primary cardholder… my other question- I worry about trying for a business card because I work as an education consultant for a nonprofit. I’m the Ag Ed Coordinator for two counties Ag in the Classroom program. I mainly work from home, besides when doing the programs at schools and community events. I pay for all my materials and then at the end of the month I submit receipts and I and am reimbursed for it. Since my “business” isn’t technically generating income, do you know if I’d qualify for a business card? 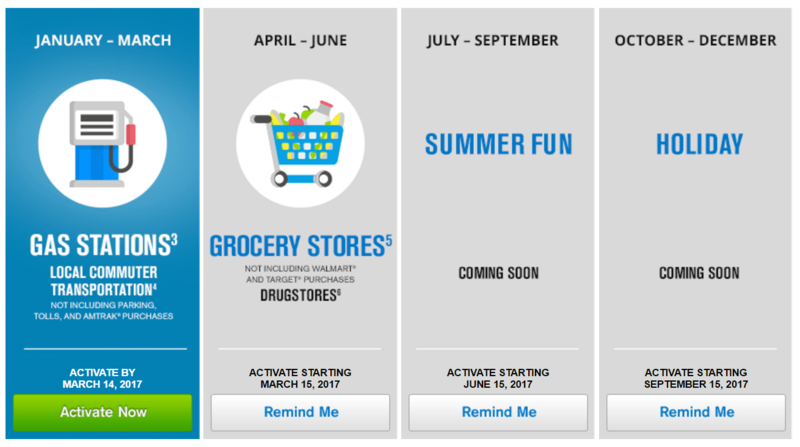 It would be nice to cover my monthly expenses and obviously from the rewards card standpoint. Thank you! Ive read a lot of your posts since reading up on travel hacking!